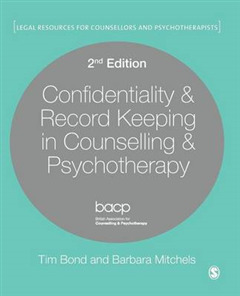 This indispensible text is your students' first point of reference when faced with a situation or dilemma of a legal nature regarding record keeping or confidentiality issues. 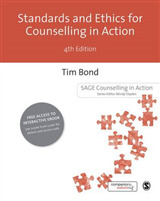 Reflecting changes in policy and law and developments in practice since its last publication in 2008, this new edition has been expanded into 14 new and thoroughly revised chapters. 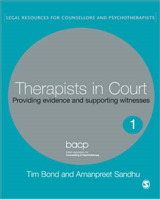 New content includes: - The latest Data Protection Act guidance including data protection implications when working with technology and for online therapy - Greater content on sharing information, including sharing information in supervision, training, research, audit and, crucially, across professions - Expanded content on mental capacity with separate chapters for children and vulnerable adults - A new chapter on pre-trial therapy with adults and children, including Special Measures, Crown Prosecution Service guidance and victim support - A new chapter on practice dilemmas, providing advice and encouraging further discussion and reflection - The role of supervision and of the supervisor Using reflective questions, sample dilemmas and case scenarios throughout, the authors illustrate how to practically address the difficult confidentiality and record keeping issues that therapists regularly face. 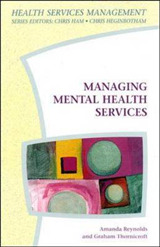 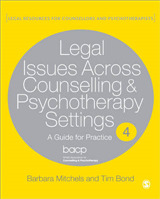 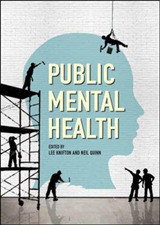 Current legal guidelines and frameworks are interspersed throughout the book which, along with revised disclosure checklists and links to useful organisations and contacts, ensure trainee and practising therapists are well versed in current best-practice.